This Frosted Lemonade Cooler is totally indulgent! 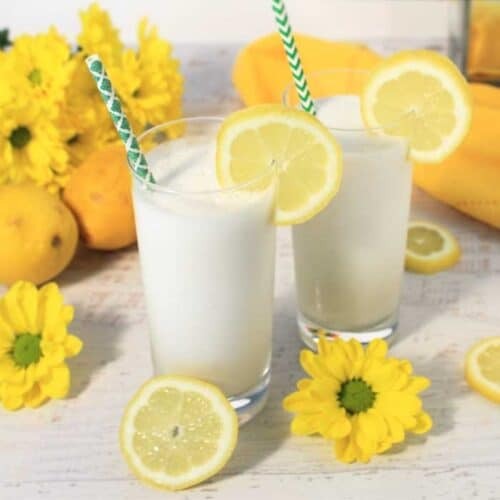 It's like a cross between a tangy zesty lemonade and a milkshake. Three ingredients is all it takes to whip this up for a refreshing summer cocktail (with vodka) or non-alcoholic beverage perfect for backyard barbecues and holiday picnics. Divide between 2 tall glasses and garnish with a lemon wedge.